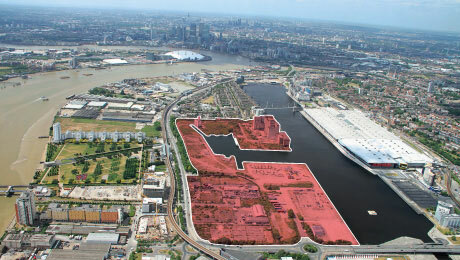 Driven by the success of neighbouring Canary Wharf, the Docklands Light Railway and the 2012 Olympics redevelopment, The Royal Docks is finally set to come into its own - and the riverside location’s fortunes will undoubtedly affect neighbouring suburbs, not to mention the London property within and around the developing area. The Royal Dock area is located in the south of the borough of Newham, which ends on the banks of the River Thames. The three Royal Docks were built a century ago, and named for monarchs Victoria, Albert and George V. Together, they formed the largest enclosed docks in the world: equal in size to the area from Hyde Park to Tower Bridge, and with more than 12 miles of waterfront: more than Venice. Shipping to the area fell away in the 1970s, and the area fell into disrepair. Three decades ago, the unprepossessing area was a wasteland - bleak enough to be the setting for Stanley Kubrick’s Vietnam War film Full Metal Jacket. Today, the landscape is very different, with science and business parks, a commerce and technology port, and a number of architecturally striking buildings transforming the look of the historic location. 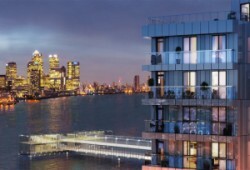 Now, The Royal Docklands is being lauded by investors as London’s third financial business district. 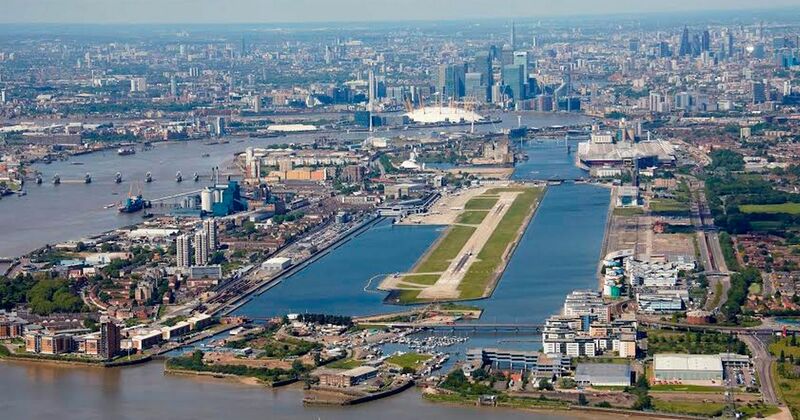 Located in the Royal Docks, London City Airport has been a central point of infrastructure for the area, and with further development in the works the airport will significantly increase Royal Docks’ status and local economy. Last year, London City Airport added six new destinations and had a 5 percent growth in passenger numbers. The number of people travelling through the airport is now 4.5 million each year, and is set to grow as travellers take advantage of the DLR connection to Canary Wharf and the wider city. More than half of the passengers are business travellers - a higher proportion than any other UK airport. The airport is currently at the beginnings of a £344 million development programme, aiming to boost annual passenger numbers to 6.5 million by 2025, and adding 29,000 flights each year, including more flights to long haul destinations like Asia and the US. The airport will also be served by the new Crossrail network, extending its reach around London and the wider region. Regeneration is turning the once-barren landscape into brand new neighbourhoods. Directly to the west of London City Airport, the Silvertown Tunnel, set to open by 2023, will become part of a 62-acre, 3000-home neighbourhood called Silvertown Quays, a £3.5 billion development built around a huge Art Deco flour mill - a project similar in scale and scope to Battersea Power Station. And to the west of Silvertown, another new development will blossom on Royal Wharf, where a former lubricants plant will give way to 3385 homes where 20,000 people will live. Royal Wharf will be served by its own school and DLR station. Almost half of the low-rise development will be given over to green space. To the east of the airport, Royal Albert Wharf will become home to a waterfront development where 1500 homes will be built, arranged around the dock and an historic Edwardian pumphouse. Along with residential developments, Royal Docks is now home to a number of international developments and upmarket hotels and is firmly on the transport map. 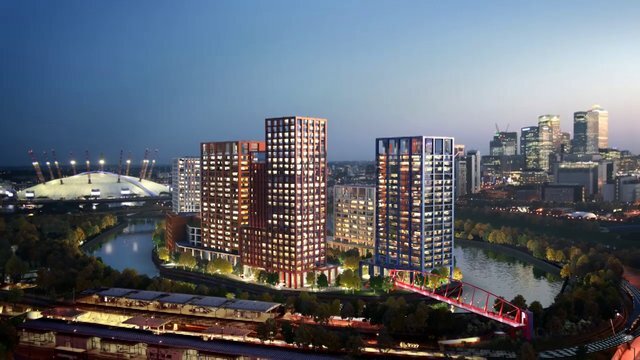 Developments include the architecturally striking Eastern Quay, the Capital East development on the dock’s north side, and a new University of East London campus - all essential infrastructure assets for the large numbers of residents moving into the area. As is inevitable, regeneration is spreading outwards through Newham, affecting Canning Town, Custom House and into Stratford, where fortunes have already improved thanks to the extensive Olympic 2012 developments. In fact, over the last five years Newham has recorded the largest property price rises of any London borough, and emerged as a buy-to-let hotspot. 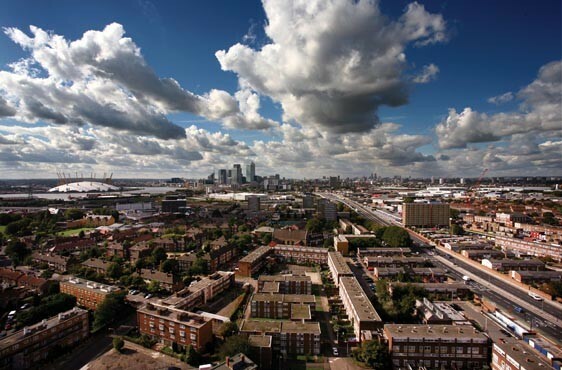 Canning Town and Custom House are undergoing a £3.7 billion development. Property is of course central to the project, and amidst the improvements in infrastructure, big developers like Barratt, Bellway and Galliard Homes are buying up disused industrial buildings and transforming them into modern London homes. A number of existing, low-quality housing is also going to be replaced, adding up to 12,000 new homes for the area. Local infrastructure that’s under improvement includes town centres, leisure facilities, open spaces, retail developments, schools, health and community facilities. As well as being on the Jubilee Line and the DLR, the Canning Town and Custom House areas will be served by the new Crossrail development, with a station at Custom House. International links are also good, with London City Airport and the new Stratford International Station nearby. London City Island is another once-barren location where fortunes have changed for the better. The creation of an exclusive island neighbourhood was once just a city planner’s dream. Now, driven by local development, it’s become a reality. Nestled in a loop of the River Lea where it joins the Thames, sandwiched between Canary Wharf and East London, London City Island is home to 1600 homes and 20,000 metres of office space. A number of London institutions have also moved there: the English National Ballet has relocated here from Kensington, and London Film School has also set up shop on the 12-acre site. These two cultural institutions are part of a movement that’s turning this small island into a centre for arts and culture, and adding to the Docklands’ considerable status. East India Docks is also undergoing a dramatic transformation, with some calling the once-forgotten docks quarter of Poplar “The new Shoreditch.” A £250 million plan to develop East India Docks will include workspace for around 8000 people, a 650,000 square foot campus and Europe’s longest freshwater swimming pool. The area is being marketed as a study and work area for young, innovative Londoners - with a large number of affordable housing units in the works. It will also be served by the landmark Crossrail development. Local and foreign buyers are taking interest in this hitherto unknown area. Attracted by lower prices - not to mention the striking cityscape, with its unique riverside character and spectacular island runway - buyers are queuing up for local developments. 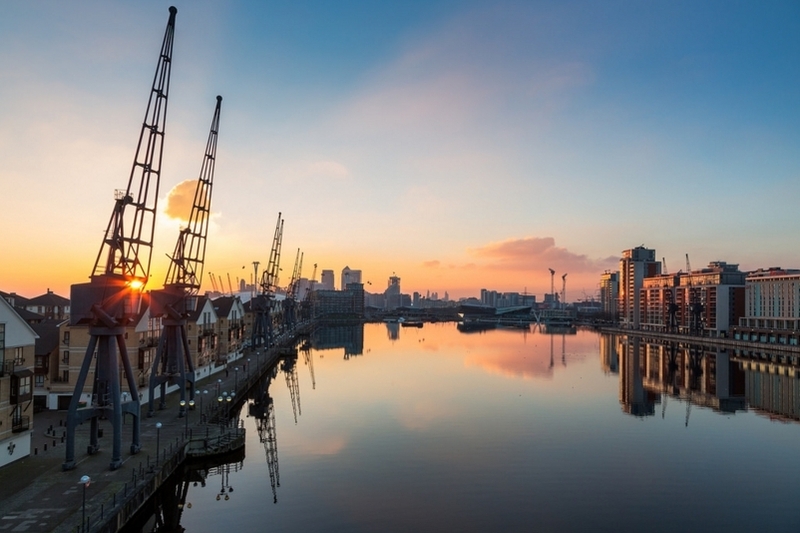 Investors are comparing The Royal Docks to Canary Wharf 20 years ago - a success story we’re by now all familiar with. Property values in the London City airport area are still around 25 percent lower than those around the Canary Wharf business district, presenting incredible opportunities for investors. As regeneration moves outwards, other areas will feel the positive effects. Investors buying up property in areas with proximity to the docks will also reap the benefits, like investors in this wharf view property near Greenwich. 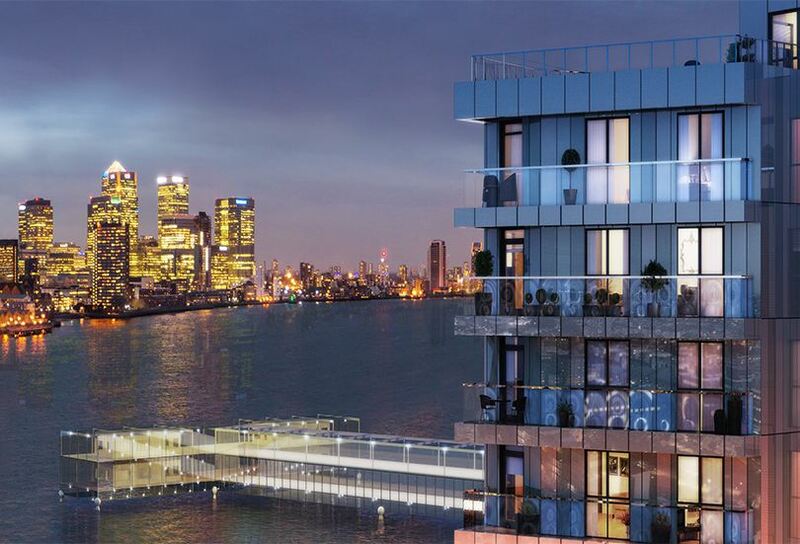 Call us today to find out more about the exciting developments along London&apos;s waterfront.